If you are looking for premium service for your house clearance Richmond TW10 or waste removal Richmond you can be sure that we are right company for you. We Clear Everything team will take great care about you property and your time. We provide part and full house clearance. Richmond upon Thames a part of London. Londoners call Richmond a jewel in London’s crown. Richmond is probably London’s most attractive borough for tourist. Local peoples care so much to keep there area clean and attractive for visitors. 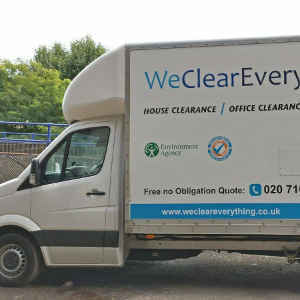 Our team – We Clear Everything is one from very popular house clearance and rubbish removal team working in Richmond. If you are from Richmond and looking for good team to care of your domestic rubbish removal issues we are ready to help you and we will do it fast and without disturbing your time. We Clear Everything team takes care of everything, from old furniture and not working electronics to builders waste. Our house clearance team has a good reputation in the area of Richmond and we do our job really fast and effectively. We can give you a helping hand with every kind of waste from your home and office in Richmond.